Texts by: Debora Ferrari, Luca Traini, Andrea Ferrari, Elena Di Raddo, Ambra Bonaiuto, Salvatore Mica and Salvatore Fallica, Alessandra Coppa, Matteo Bittanti, Domenico Quaranta, Mauro Nicolini, Eleonora Charans, Chiara Di Stefano, Cristina Casero, Federico Salerno, Kevin McManus, Margherita Balzerani, Jaime d’Alessandro. 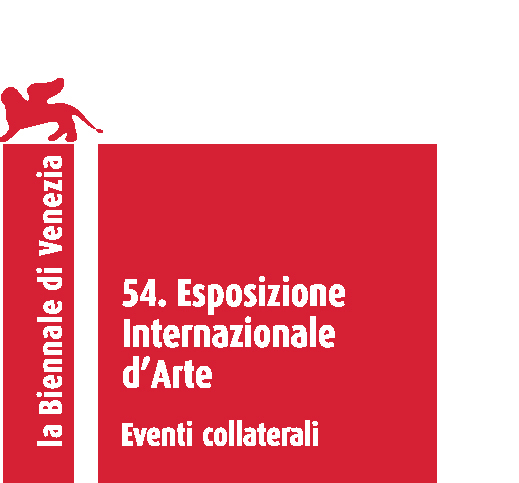 Works by: Samuele Arcangioli, Marco Cadioli, Federico Castronuovo, Mauro Ceolin, Damiano Colacito, Paolo Della Corte, Massimo Giuntoli, Auriea Harvey & Michael Samyn, IOCOSE, Lorne Lanning and Sherry McKenna, Les Liens Invisibles, Miltos Manetas, Eva and Franco Mattes aka 0100101110101101.org, Molleindustria, Mikayel Ohanjanyan, Gabriella Parisi, Antonio Riello, Alessandra Rigano, Santa Ragione, Marianna Santoni, Federico Solmi, Stefano Spera, Tonylight, VjVISUALOOP, Jan Vormann, TIBE, Carlo Zanni, and many more. NEOLUDICA. ART IS A GAME (Extended) from VjVISUALOOP on Vimeo. Neoludica. Art is a game. Biennale Venezia from VjVISUALOOP on Vimeo. Da martedì a domenica, dalle 12.00 alle 18.00. Chiusura estiva dall’8 al 17 agosto 2011. In August, the show at the Sala dei Laneri can be visited from Tuesday to Sunday, 12.00 – 18.00. The show will be closed from August 8 to August 17, 2011. FOTONICA from Santa Ragione on Vimeo. “Fotonica Is the Best Flash Game You Haven’t Played…Yet” è il titolo dell’articolo che Emerson Rosenthal dedica a Fotonica sul blog di The Creators Project, il sito frutto della partnership tra Vice Magazine e Intel. Italians Do It Better! !… o no?!? Qui sotto il seguito dell’articolo. Holy father of first-person computer gaming, Italian game design team Santa Ragione just released the full version of their lo-fi, hi-fun flash runner, Fotonica. Best of all, it’s a “pay what you want” download available on their site! The game features an incredibly intuitive single-button playing system (jokes!) that allows you to run, run faster, jump up, and land, as well as five strikingly beautiful vector/wireframe levels, each with their own respective themes and strategies. While the duotone graphics and “one button interface” err on the simpler side of things (even for a Flash game), it’s the smoothness, pacing, and immersive nature of full-screened first person that makes Fotonica a veritable black hole to lose yourself in. The game even features a sixth, procedurally generated level that theoretically won’t end until you do, which, let me just say, is perfect for in-office productivity (sorry, Vice!). If the trailer doesn’t have you convinced, download Fotonica and kick it around. If you enjoy it, feel free to donate the recommended $1.75. Or you can just pass the link on to a friend—their boss will be really glad you did. Santa Ragione is a ‘micro-game design’ team based in Milan. Stefano Mazzoni, “Quando il gioco si fa arte“, in Artribune, 4 luglio 2011. Pau Waelder on Italians Do It Better!! Spanish art critic Pau Waelder just posted a long review on Italians Do It Better!! on the blog Arte, Cultura y Innovacion, supported by the LABoral Centro de Arte and the Universidad Oberta de Catalunya. In Spanish.